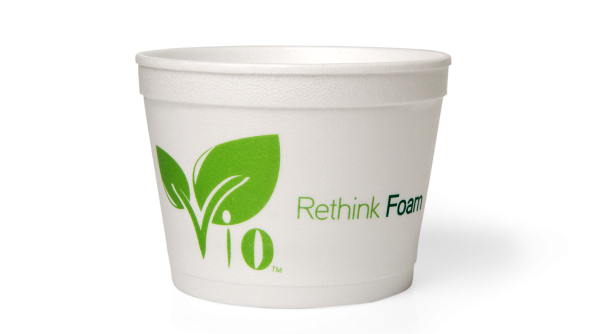 Vio® biodegradable* foam food containers hold everything from soup to, well, nuts — not to mention hot and cold sides, appetizers and desserts. They help you hold the line on supply costs, too, since Vio is the lowest priced disposable food container of all the green options. And everyone will have to hold their tongue about environmental concerns when you pack their go-orders in Vio. Because 92% of Vio foam biodegrades* within 4 years.